Someone else then stated that they were tired (insulted) with the linking others were making between high-density developments (such as in Gungahlin) and that these developments were to be the future slums. They did agree that much of the recently built medium and low-density new construction are poorly designed, constructed and unattractive. I doubt that any parts of Gungahlin will become a slum any time soon. So yes – I agree with the inappropriateness of that first statement. But given the nature of planning regime here in Canberra and many other precincts nationally and internationally, the possibilities are endless for bad outcomes in our urban areas due to short term profits being made at the cost of a reasonable level of sustainability, green infrastructure and 21st century urban amenities. What we have in recent suburban developments is a hands-off approach that compares badly to the common sense we used to see implemented through real planning processes. Both my photos used in this post are of Kambah. This area was planned and development with a neighbourhood character. Decades on it remains an inviting urban environment. 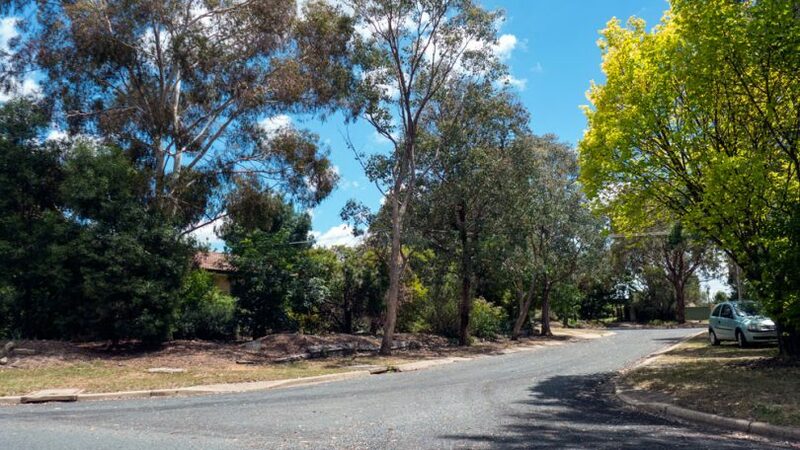 I doubt whether later areas of Gungahlin will ever have the equivalent urban forest (both on the streets and in the backyards) and will ever be able to accommodate an equivalent healthy and complex biodiversity. The problems for these newer suburbs with concentrations of badly designed (cookie cutter bland) apartments and large houses on small blocks will become more apparent as the effects of climate change result in a rise in average temperatures. These new areas have little greenery (shade) and very little chance of much being introduced. They are also already heavily dependent on energy sources to cool and to heat. They will require a greater usage of energy into the future. There is no sign of energy becoming cheaper. Given the politics and the other goings-on in the energy sector, this essential service is likely to become even more expensive. 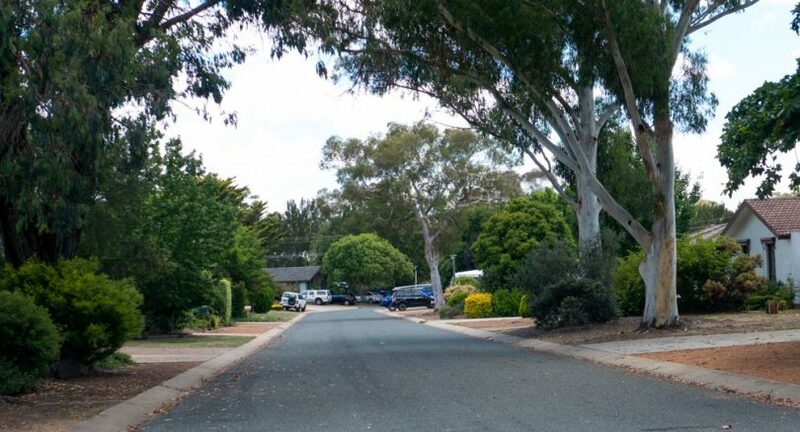 Canberra is not alone in building suburbs and developments that are not what was promised and are instead problems waiting to happen given the inevitability of rising temperatures. This city has had several versions of planning authorities and many planning, urban and environmental ministers during the last decades. All have had available to them data on what not to do – and how to go about planning and developing urban areas for the 21st century and how to address the issues to do with climate change. Yet here in Canberra, as with other cities, the government continues to roll out developments that are poorly designed, constructed and unattractive – as well as containing very little contemporary features to address sustainability issues and to ensure less use of energy. People now occupy precious homes – whether it be stand-alone, terrace housing, town house or apartment – in the newer suburbs of Gungahlin. They would have done this with the belief that what they were buying would meet all the current standards. The trouble being all the evidence points to the standards required have suited the developers’ requirements (profit and less ‘red’ tape) but sadly have not met what should be 21st century user (resident) expectations. A quick scan through government policy identifies that at least in theory or on paper, this government is taking some serious actions to deal with climate change threats in other areas of its responsibilities. Yet in the area of planning and development, it is as if the government is consciously ignoring these matters. Those responsible are being willfully blind to these matters. Maybe they realise the obvious. The detrimental effects that are to flow and reduce the livability of the newer suburbs are to occur when the present bureaucracy and politicians have departed. They realise that it will fall to the next generations of politicians and bureaucrats to deal with these serious issues. So why bother? To be honest, the solutions are not going to be simple, easy or cheap. However they are issues that the current government cannot go on neglecting. Solutions need to be found as good people are living in the newer developments. They deserve to know that the politician they elect care for the future of their suburbs – no matter what mistakes have already been made. The responsibility to put in place significant changes that will assist with the urgent climate change adaptation required must now fall to the current ACT Government. It is time for these matters to be talked about openly and for this ACT Government to work out how to deal with them. And most importantly – it is time to stop questionable developments and to put in place some real building and developments standards to deal with the all the contemporary issues relevant to the various areas of Canberra.